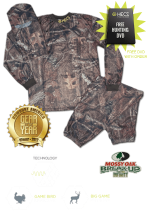 There are a lot of good broadheads available. Many of them claim to fly just like field points. What they don’t say is that your bow may need to be properly tuned before they will. Of course, you need to make sure you’re shooting form is consistent, too. One reason I stick with Slick Trick broadheads is because they are working for me. I no longer have to adjust my sights at the end of “practice season”, right before hunting season. I have also had good penetration, even though I don’t have screaming fast bow speed. I am not a big guy. I am a 5’6” marathon runner weighing in at around 140 pounds. My draw length isn’t long and I only pull a little under 60 pounds comfortably. I have killed elk with Slick Trick broadheads from 5 yards to 57 yards and many in between. That said, I’ve also killed them with Muzzies and other heads. In 2014 I picked out a rather large cow elk to add to my freezer. She was standing very still at 57 yards away. I don’t normally intend to shoot elk that far away, but practice was going very well out to 60 yards. Since the cow elk was standing near a road that I knew I could get permission to drive in to retrieve her on, the temptation was too great! The Slick Trick broadhead tip penetrated through both lungs and barely punctured the opposite inside of the hide. The elk walked 20 feet, laid down and died. My slow flying arrow (Easton Da’Torch), given my short draw and pull did all it needed to do to take down that elk. If you put a sharp broadhead through both lungs, the elk will go down. One of my bow reps has done a lot of professional videoing of hunts. He has noticed something interesting. Since he has edited so many videos of arrow killed elk, he’s checked the timelines of those videos from double lung shot to death of the animal. He says, “17 seconds”. The problem is that an elk can run a long ways in 17 seconds! Much of the time they run out of sight. 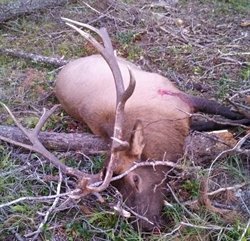 When I killed that elk in 2014, it didn’t run at all because it probably didn’t even know there was a threat anywhere near. I kept very still and quiet after the shot. The big cow jumped a little when my Slick Trick broadhead-tipped Da’Torch 400s pierced both lungs. She stood there for a while, then calmly walked a few feet away and laid down and died. It’s important not to reveal your presence to any other elk after the shot, if possible. 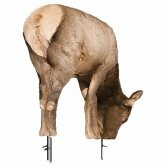 The shot animal will react to what the rest of the herd does. If they panic, the shot animal will panic with its last few seconds of stored energy! I've recovered many Slick Trick broadheads from killed elk. They have always still been intact. I always just put new blades in it and put it back in my quiver. In 2013 I called a nice 6 point bull in that approached quartering-to me. I had to wait until the angle was as wide as possible before slipping a Slick Trick broadhead in tightly behind the shoulder. That bull stopped five yards away and stared right at me. It would be seconds before he bolted. He knew he was in danger. When I released my arrow he flew out of there scattering dust my way. About 17 seconds later he crashed and died a hundred yards, or so away. The Slick Trick broadhead was lodged way back just inside the abdominal cavity in front of the opposite hip. It did plenty of damage upon entry and more damage by stirring action inside the bull as it ran. I killed a six point bull at 40 yards several years ago with a Slick Trick broadhead through both lungs. The arrow sailed down the hill on the other side of the elk and I never found it! That bull made it about 75 yards before piling up. 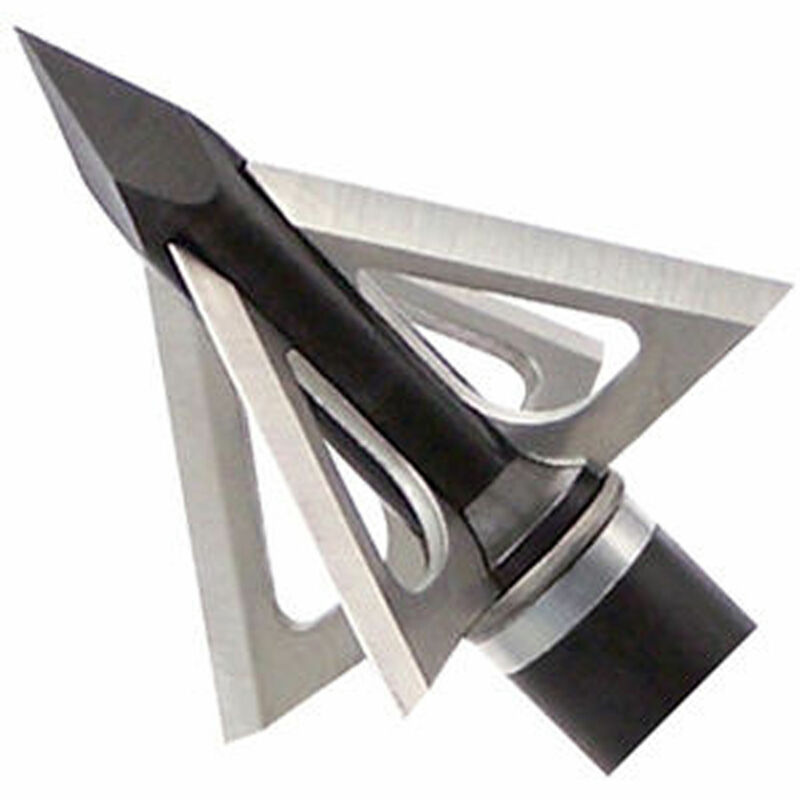 Whatever broadhead you use, make sure it is very sharp. Most are sharp out of the package, but carrying them around and taking them in and out of a quiver can dull them a bit. I like the ease of changing blades on the priority broadhead in my quiver. I if I have been carrying it around for a while, I have probably taken it in and out of the quiver a few times, carried it loaded on my string, possibly bumping things with it. 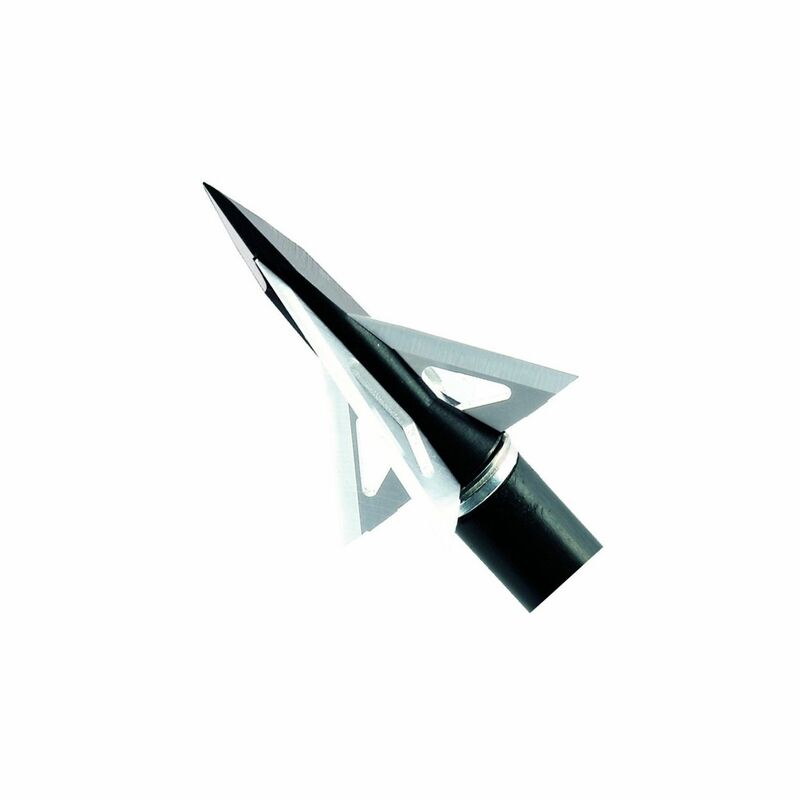 Slick Trick broadheads blades are easy to change and the construction of the head is stronger than most fixed blade broadheads.